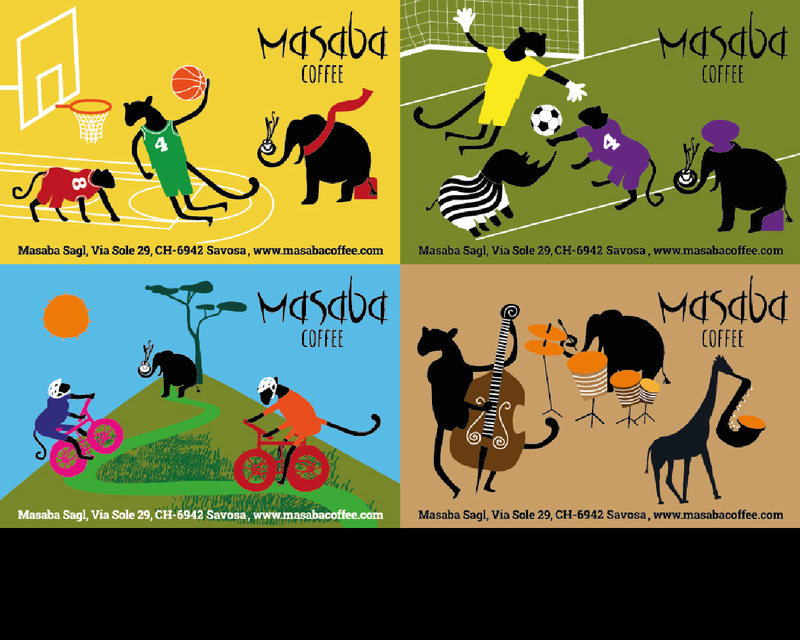 Masaba Coffee grows out of a Swiss project in Uganda, where more than 7,000 farmers are provided with the know-how to produce a coffee of excellence with a taste of Africa, among primordial lakes and volcanoes at the source of the river Nile. This are several Adv that go into different sport or music magazines. We tried to create something happy and different to attract people to visit the Masaba website.